The Original Gypsy Fair, a convention of house trucks/buses, were at Craigavon Reserve on the weekend. 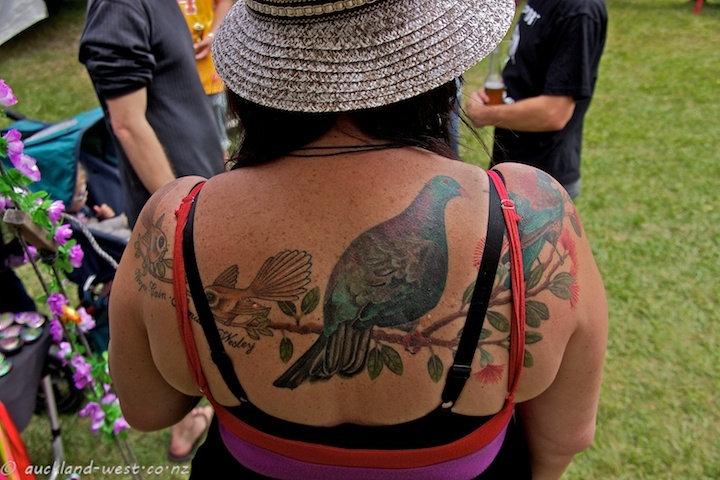 No surprise that a fair few tattoos were on display. 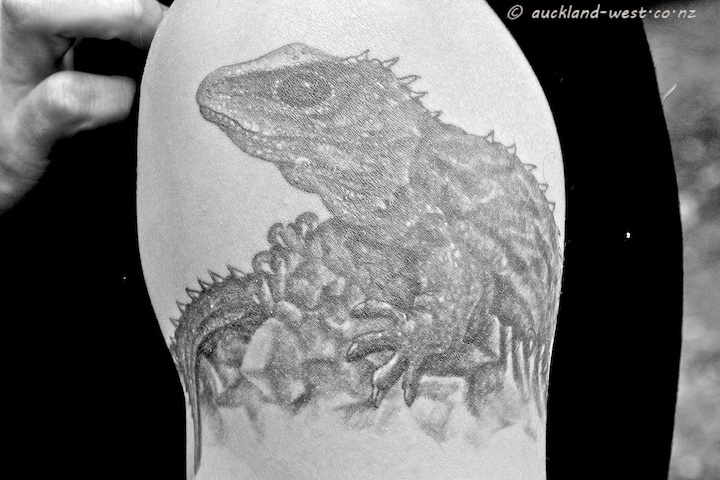 I specially liked these two: a NZ Wood Pigeon (kereru) in the company of fantails, and NZ’s living fossil, the tuatara in black and white.